Make sure your team gets the right info at the right time with clear, straightforward communication tools in ConstructionOnline. Organize, view revisions, choose approvers and more with ConstructionOnline™ Submittals. Improve your communication with industry leading communication tools. 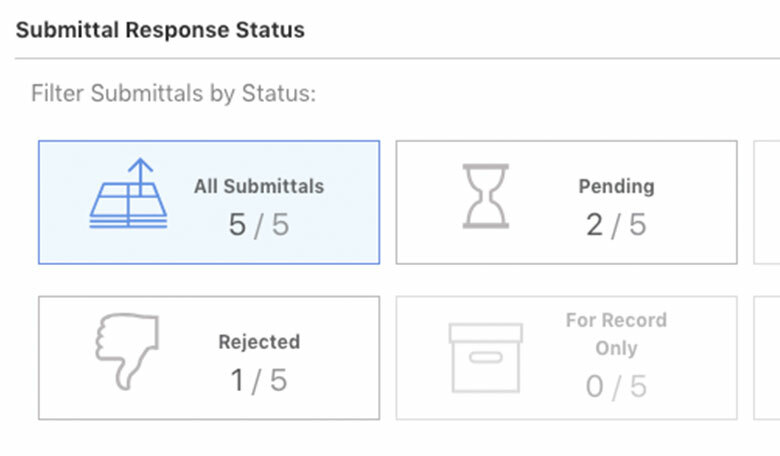 Ensure Submittals don't fall through the cracks with the Response Status dashboard. 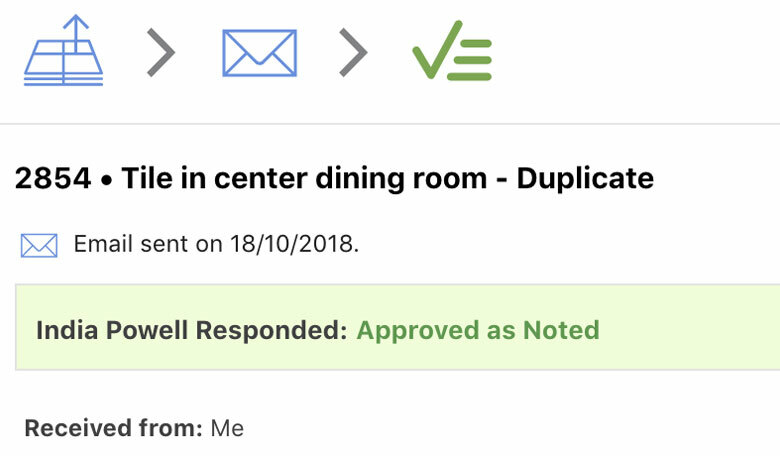 By selecting one of the Response Status filters, you can easily navigate and view exactly which Submittals are pending, approved, rejected, in need of revision and more. 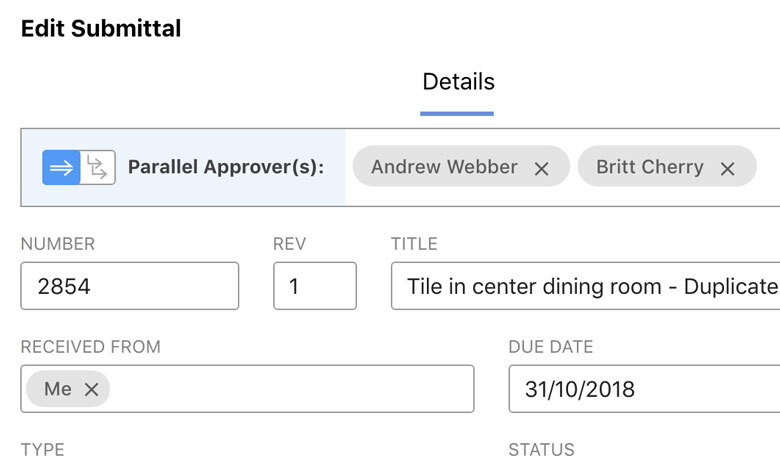 Quickly reference which Submittals have been responded to and what statuses have been assigned so you can keep the flow of information going. When creating a submittal, you're given the option to choose your preferred Submittal workflow by choosing Sequential or Parallel Approvers. 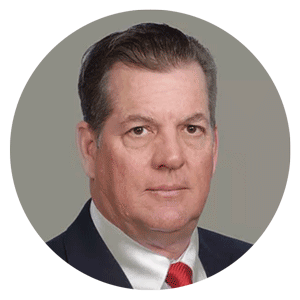 Sequential approval requires each approver to respond in order for completion, while Parallel approval allows multiple responses simultaneously. You'll get the information you need, when you need it with automated reminder emails for Submittal approvers. When a Submittal is approved, ConstructionOnline™ will send out an email based on your settings. The Submittal Dashboard lists the date on which the Submittal notification was sent. Missed deadlines and project delays are now a thing of the past. 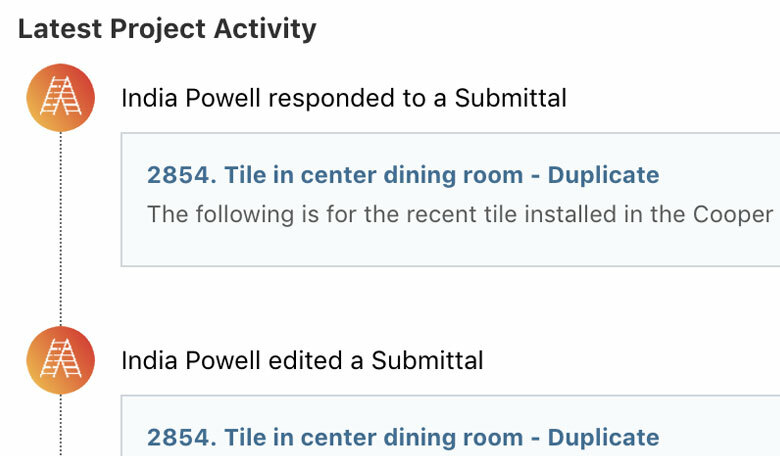 See a detailed history of project changes with intuitive Submittal Revisions. ConstructionOnline™ Submittals give you a clear view of what needs to be done and what has already been accomplished by you and your team. Easily create revisions from existing Submittals without the hassle of retyping information. You also have the option to right click and duplicate a Submittal.